A Perfect Circle has announced a North American headline tour for this Fall. 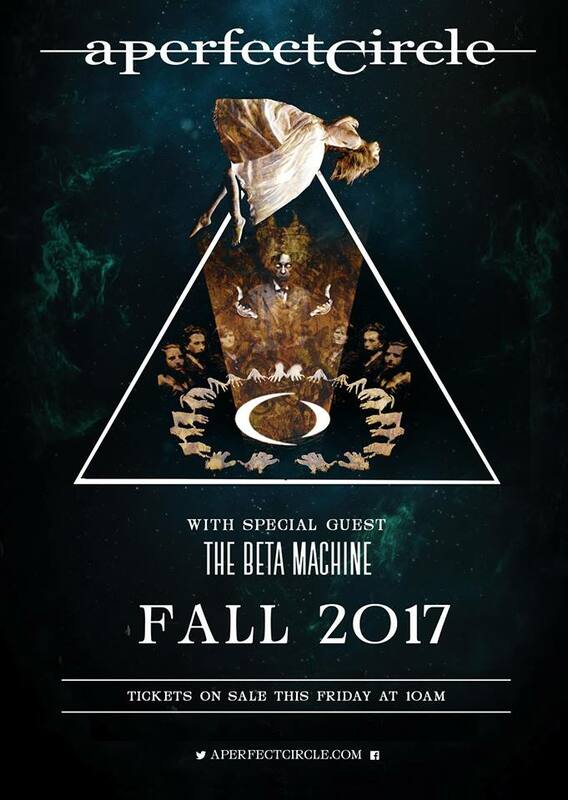 The Beta Machine, featuring Jeff Friedl and Matt McJunkins of APC, will be the support act on this run. Tickets for all non-festival shows go on sale this Friday June 23rd. Check out the dates below.